Note: I stole this from someone's comment a while back (I think it was Octavia_Melody's). 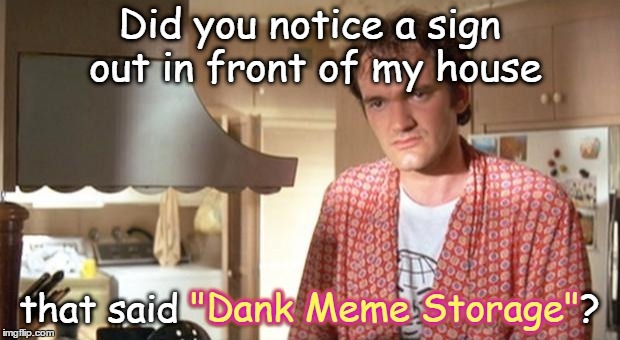 Did you notice a sign out in front of my house; that said "Dank Meme Storage"? "Dank Meme Storage"; "Dank Meme Storage"; "Dank Meme Storage"